The new squash season is underway and the regular Dumfries and Galloway Squash Leagues, again kindly sponsored by John Henderson & Sons, will begin after the school holidays. There will be two leagues again this year with five teams in Division 1 and six teams in Division 2. The Cisco kids, the new team on the block! Backswing will be defending the Division 1 title with newly promoted Noblehill Garage one of the teams chasing. In Division 2 it is wide open but the thriving Castle Douglas Squash Club has two teams entered and maybe the ones to watch. A new team for this season in Division 2 will by sponsored by Cisco Systems. 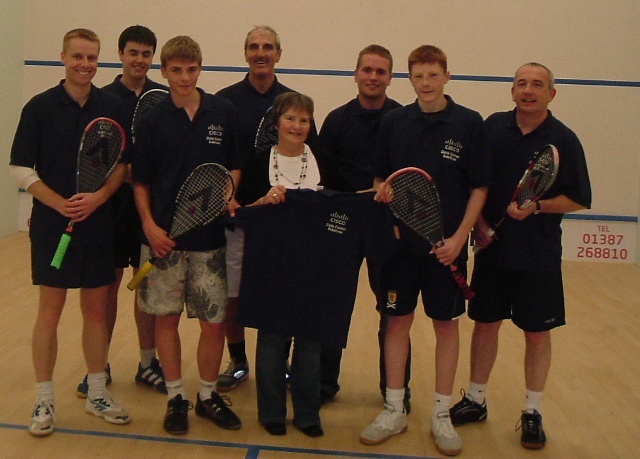 The team, which is captained by Raymond Currie, will try and field as many of Nunholm Squash Club’s younger squash players. Raymond said: “We have a squad of around nine players but the core of the team will centre around the younger guys with maybe an “auld yin” helping out now and again. “If the full squad of the younger guys plays, the average age of the five-man team will between 16 and 17.